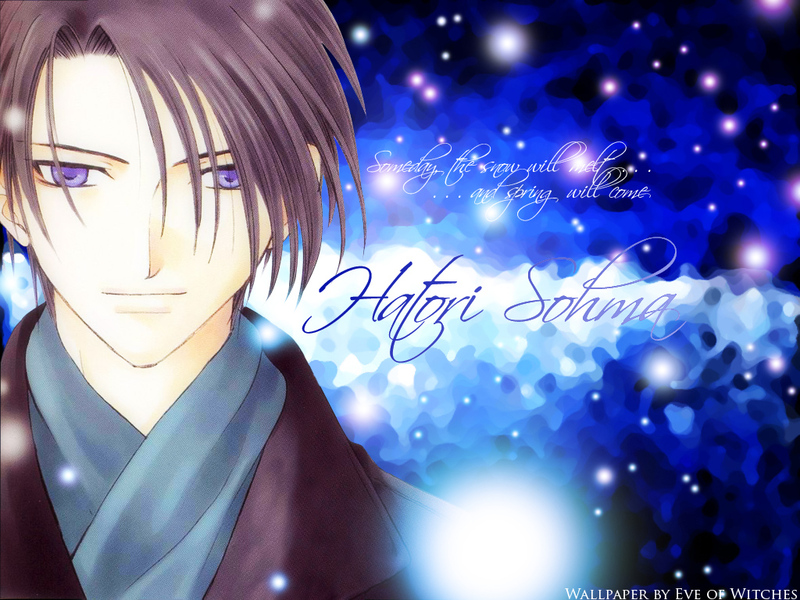 Fruits Basket Wallpaper: Spring Will Come . . .
Minitokyo »	Fruits Basket Wallpapers » Fruits Basket Wallpaper: Spring Will Come . . . This will probably get deleted but whatever. I just finished my friends birthday present and because I was temporarily suspended from deviantART, I got bored and decided to make something since I've been so inactive. They do tend to delete things for no good reason! I like it though, it's striking and there's not enough furuba around. thanks for sharing. I like this wallie. I like the glowing things around Hattori, is that a snow ? This wallie is beautiful, I don't think they will delete it. You must more optimistic with your skill, I think. Well, anyway I like to thx you for sharing this wallie. Thx you. The snow is beautiful and I really like how the color scheme, what with the blue-ness, bringing out the hue of Hattori's eyes. I also seem to fancy how the light source beneath the text balances out the work. That way, it doesn't seem as... Odd and lop-sided, so to speak. I'm not sure why this should be deleted when it's such a well-done piece of art. =P Plus, boredom makes the best works at times. Oh... Ha chan! I love this. Oh yes, u submitted this on OTAKU also did ya? haha... i saw it there too! Just love it! *YAY! Ah! It's my Ha'ri! Ah it's so beautiful!